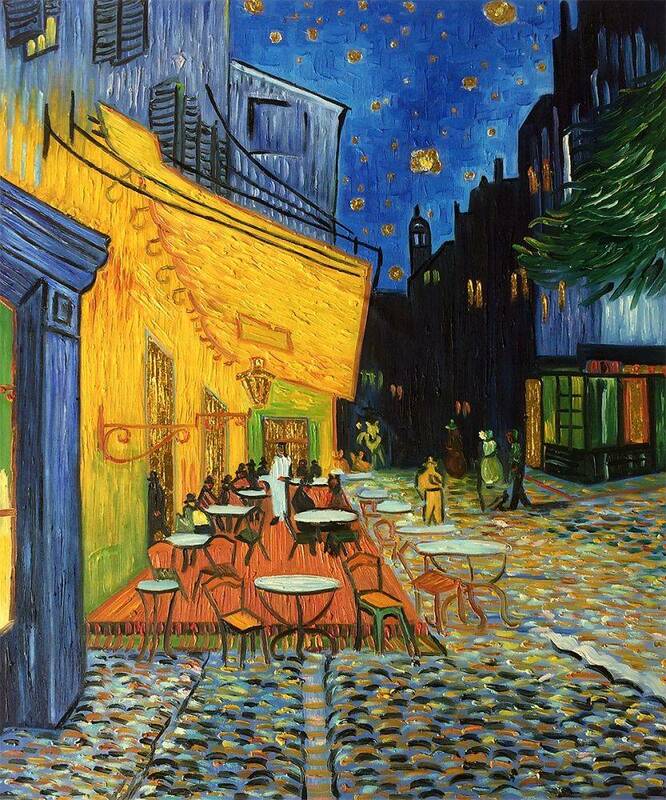 “Café Terrace at Night,” or, sometimes, “Coffehouse, in the Evening,” by Vincent Van Gogh, has always been one of my favorite works of art in general. It depicts a small scene in the night life of a city. Nothing in particular is going on, it’s mostly just a scene of the city going about it’s business. So, what makes it so interesting? Well, that is not a simple question, and it has many answers. However, there are a couple that speak to me. First, is just the nature of the painting itself. As I said before, it’s a slice of life from a city at night. Cities are always different at night, no matter where or when you go. This painting isn’t about famous people, an epic moment, or even a particularly nice-looking building. It’s about capturing the mood and feel of a place that still has a lot of life after it’s ostensibly gone to sleep. Second, the use of color. Color is a hard thing to talk about, certainly, and much of it comes down to taste anyway. But with Van Gogh, there is something solid you can put your finger on. It helps that Van Gogh specifically mentioned his techniques on this piece in a letter. He used little to no black in this painting The night sky shines with stars, and is a mix of deep blues, not black. 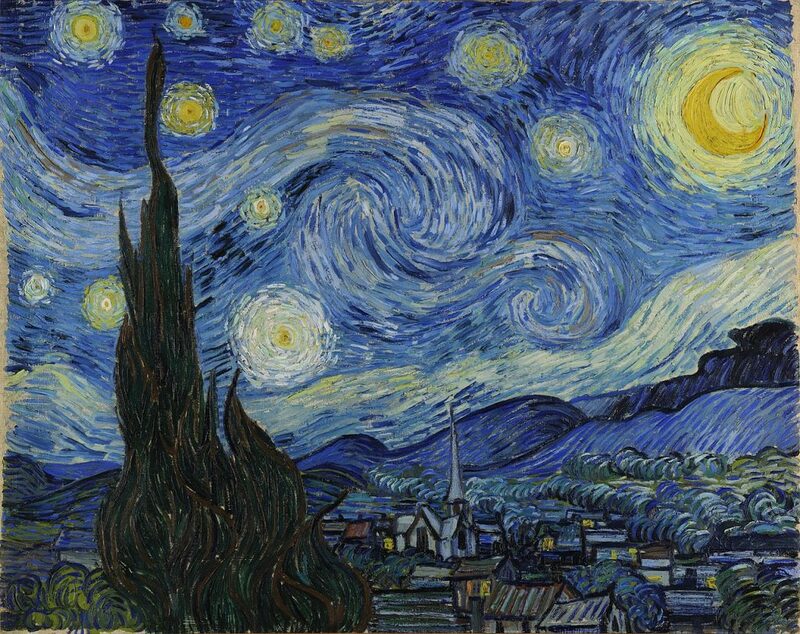 He used this effect more famously in some other works, like The Starry Night, though this is the earliest known example. Hopefully this will give you a little more insight into one of my favorite pieces, and one of Van Gogh’s best.